We could NEVER do ALL WE DO here at the shelter without the amazing support of our shelter’s supporters, donors, adopters and friends. Below is a list of many ways you can help OUR SHELTER – many are FREE! 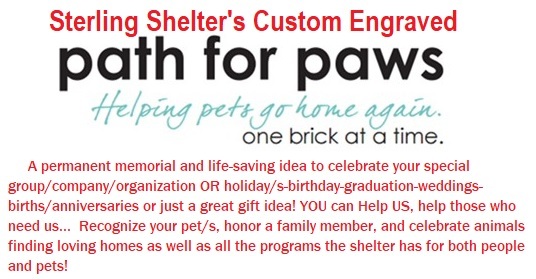 The PATH FOR PAWS PROGRAM is the name for our shelters personalized, custom engraved memorial brick path. The bricks that line the path represent symbolic milestones in the life of a person-pet-or special event.. 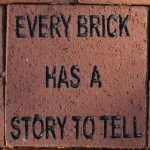 While donors can quite literally, pave that path brick by brick, it’s the inscriptions on those bricks that makes the program so meaningful. Sterling Shelter’s PATH FOR PAWS Fundraising Campaign is underway and is ongoing YEAR ROUND. A permanent memorial and life-saving idea to celebrate your special holiday/s-birthday-graduation-weddings-births-anniversaries or just a great gift idea! YOU can Help us, help those who need us… Learn more about participating in this life saving program and order a custom brick today for your or someone you love with 2 legs or 4! Make a direct monetary donation. Consider our Recurring Giving Program where a lot of small donations every month, really adds up for our organization. 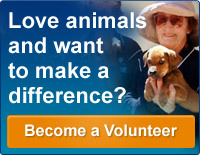 Only .33 cents a day ($10 a month) can help our pets all year long. CHECK OUT OUR NEW AMAZON WISHLIST – it’s donating made easy! – Our list of supplies is inexpensive and short, but an easy way for you to help US keep our furry friends happy during their stay with us Looking to donate items to help us keep our shelter and pets clean and happy? Starting Spring 2017 – Our shelter has added MULTIPLE groups of great shelters/rescues in the South – where they are completely overwhelmed with animals. We’ve been accepting (almost on a weekly basis) puppies/dogs – kittens and cats as space allows in our kennel. Sadly many of these shelters still euthanize due to space. With all these new groups we are working with we’ve completely depleted our stock of supplies that we use on a daily basis – all of which are inexpensive but important items to keep our furry friends healthy and clean. We’ve finally created our AMAZON WISH LIST – to make it really easy for donors and supporters to click on our WISH LIST LINK and see the items our shelter is in most need of. We don’t care about the brands, sizes, cost of items or number of items donated…. any items on the list are much appreciated – from the furry friends and the staff. We’ve even got a PRINTABLE DONATION WISH LIST – that you can easily print out and if your out and about and looking to donate items to help us keep our shelter and pets clean and happy! Print our Sterling Shelter Poster (preferably with a color inkjet or laser printer) and post it on the bulletin board at work, at your local markets, the laundry mat, or any other place you think people will see it. It’s time for shopping to feel good again! https://givingassistant.org/np#animal-shelter-inc You can turn every online purchase into a free donation for Animal Shelter Inc. just by using Giving Assistant. Giving Assistant shoppers earn as much as $700 cash back per year, and they donate a percentage of those earnings to organizations they value. Now, every purchase can result in a donation. Start donating with Giving Assistant today, and unlock deals like Bed Bath & Beyond Coupons, as well as big savings at JC Penney, Kohl’s, and more. With 1800+ popular online retailers, your opportunities to save—and give—are endless. Click on this link and start shopping today – a win/win for YOU and our furry friends! Consider our shelter and your pet/s in your Estate Planning. Will your animals be cared for in the event you can no longer do so? You can actually set up a specific estate plan for you animals to ensure that our shelter will care for them until a suitable home can be found! Click here to learn more. 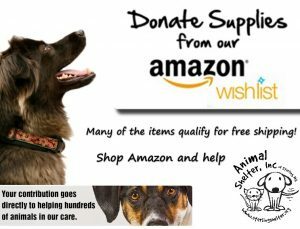 Support Our Shelter with the Amazon Smile Program! Click here to learn how easy it is to shop AND raise $ for our programs. What is it? 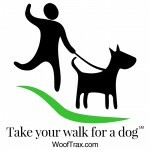 “Walk for a Dog” is a Smart Phone application (app) that promotes healthy pets and healthy humans while raising money to support local animal shelters. Volunteer –You don’t have to open your wallet. Just your heart. Volunteering is a great way to improve the lives of our shelter pets, and we offer many ways for you to spend time with our animals. Quality time with shelter animals has a positive and long-lasting effect on their well-being. Show your compassion. Volunteer today! Our shelter always needs volunteers…and here are just a few of the benefits of volunteering: You’ll join a network of hundreds of people working to make the world safe and more humane for all animals. You’ll make the jobs of everyone working for shelter animals a little easier by lending a hand and spreading the message of responsible pet ownership. You will never find a more grateful and accepting comrade than an animal you have comforted. Make lots of new friends – and not just the four legged kind. 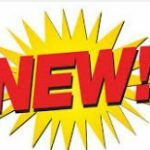 Volunteer Application – Then email, fax or mail to us. Contact staff@sterlingshelter.org for details. *** Please note – due to insurance/liability volunteers wishing to volunteer IN the shelter must be 17+ years. For younger volunteers wishing to help our shelter/pets/programs please email staff@sterlingshelter.org – we DO have volunteer opportunities outside of the shelter. FOR KIDS UNDER 17 years of age – we have some fun ways YOU can still help the shelter! Check out the ideas below – lots of fun ideas for kids and adults too! Ever wanna’ know what your Mixed Breed is Mixed with? and find out in less than 3 weeks! BUY ONE today for only $70 – we can also have it mailed to you (add $10 for s/h) if you can’t pick one up at the shelter just email staff@sterlingshelter.org and make arrangements for payment and mailing info!